The Lugger is a sweet cocktail, but not a syrupy-fruity kind of sweet. 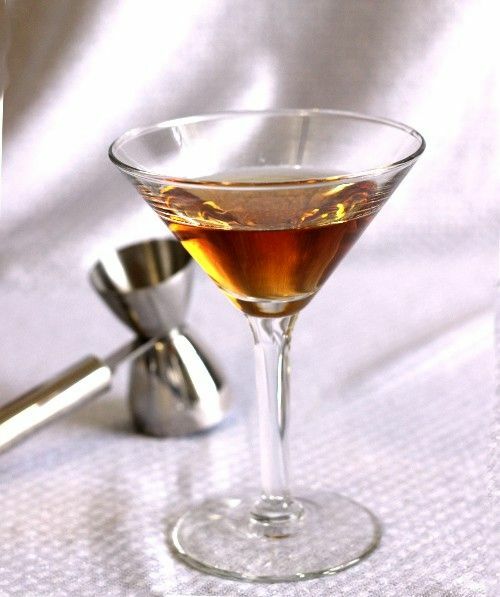 It features Calvados, a type of apple brandy, regular brandy, and just a dash of apricot brandy. All three of those are on the sweet side, but the dominant note in this drink is apple followed by apricot. The brandy doesn’t really add any flavor – it just ups the alcohol quotient without altering or watering down the overall flavor. Put some ice in a mixing glass. Add all the ingredients and stir. Strain the mixture into a cocktail glass.